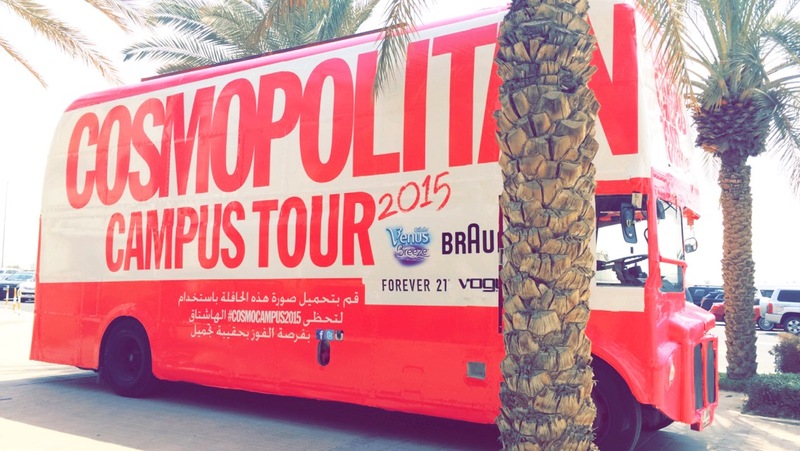 This year, the event was sponsored by Braun, Gillette Venus, Vogue Eye wear and Forever 21. The event was filled with a lot of fun photographs, contests, fun talks etc! Many people were also lucky enough to meet Lady Fozaza. However, Who would ever smile going to university on a Thursday? No one, but I did, I was super excited for the Campus Tour!! As soon as I went there, I felt more freshened and finally after it I went to attend my lectures. 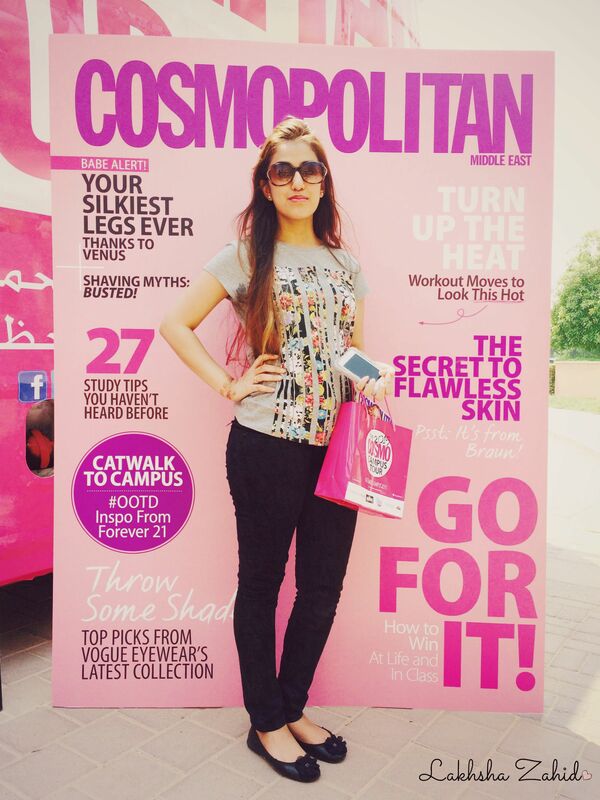 I also got a chance to be Cosmo-cover girl for a few seconds and capture that memory with me! Moreover, the Goodie bag! OH, I can’t describe my happiness when I saw my favorite diary and colored pens in it (YES, I love stationary). 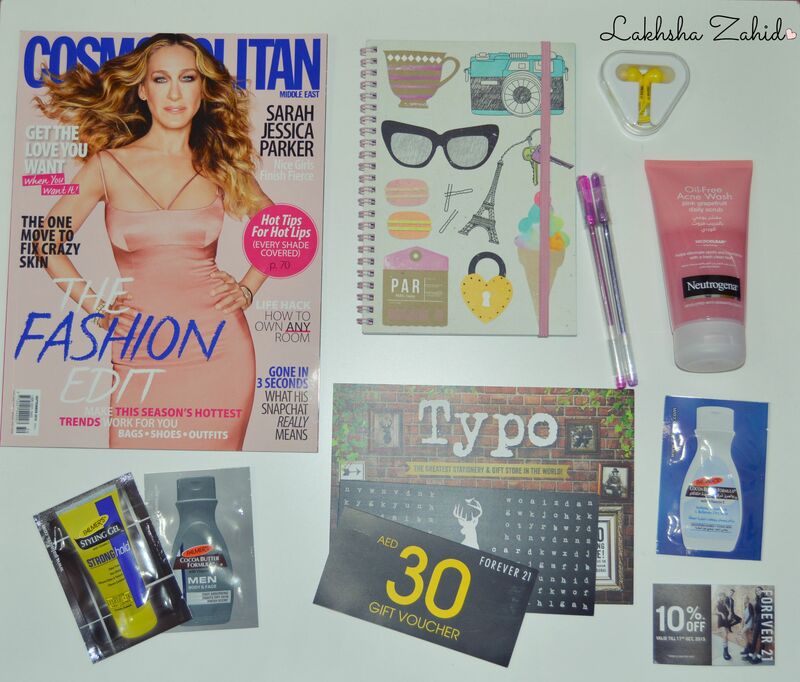 It also included of Neutrogena Daily Scrub, some samples from Palmer’s, Forever 21 headphones & Discount Voucher, Cosmopolitan Magazine and a discount voucher from Al Jaber Opticals for Vogue Eye wear! Overall, It was a lovely experience, met some of my friends as well and informed them to visit and they enjoyed it too! A lot of girls were happy and enjoying some girly fun clicking funny pictures! 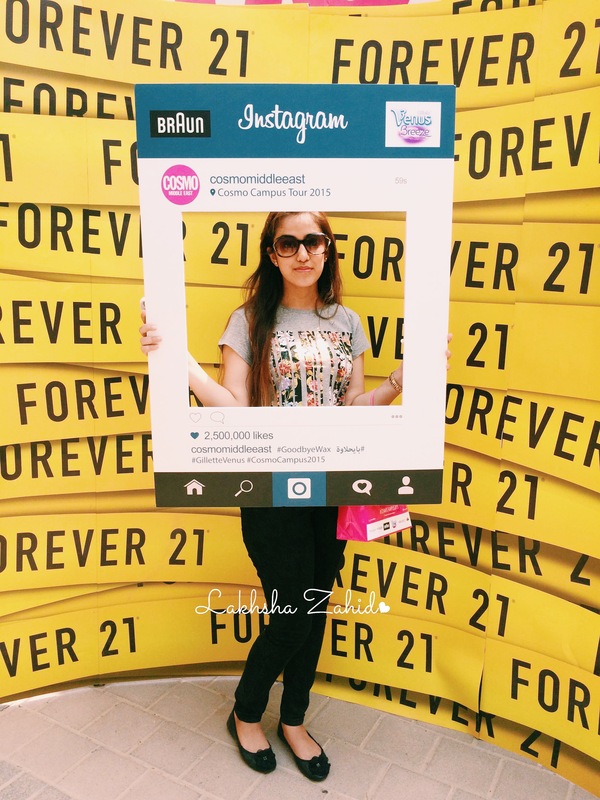 To end, a raffle draw was also held for a shopping worth 500 Dhs from Forever 21! For those who are waiting for the Instagram contest results, It will be up there in the October Cosmopolitan issue, with lots of pictures! Make sure you do grab a copy to read more!